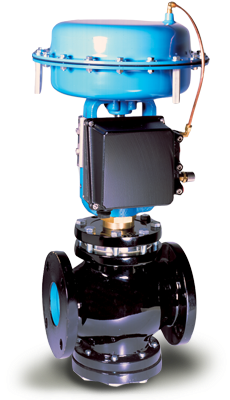 Cavitation is the formation of gas bubbles in a flowing liquid when the pressure of the liquid drops below its vapor pressure. 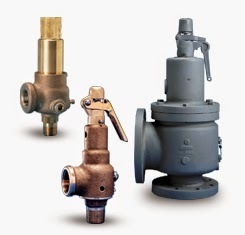 Sometimes a difficult concept to grasp, this video offers an excellent demonstration on what actually happens inside process piping, pumps and valves during this phenomena. Plastic cooling towers are made of a corrosion proof engineered plastic. The cooling tower shell will never rust, flake, chip, peel, or ever need painting or protective coatings applied. Some industry experts are predicting that plastic towers may just be the future of the industry. Metal towers do not have the long-term corrosion protection advantages for outdoor usage. The Galvanizing or other metal treatments only delay the corrosion of the underlying, often thin gauge sheet metal. Some manufacturers offer a totally seamless cooling tower. The tower shell is rotationally molded of polyethylene plastic. One manufacturer, Delta Cooling Tower, offers the only large packaged cooling tower in the industry that has a “one Piece” shell, thereby eliminating the seams, panels, rivets, or hundreds of fasteners that potentially fail and compromise the performance or integrity of the product. Due to our materials of construction, plastic cooling towers can be 30% to 50% lighter in weight than steel towers of the same capacity. This is beneficial on roof installations, light weight raised platforms, or at ground level installations by reducing the rigging / placement cost. 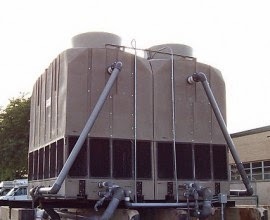 Plastic cooling towers typically offer longer warranties than their metallic cousins. A 20 year warranty isn't unusual for the structural shell of a plastic cooling tower. Plastic cooling towers are, by their very nature, lower maintenance than metallic.